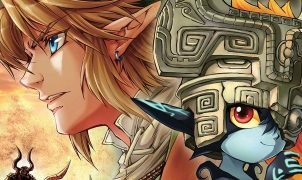 THIS REVIEW CONTAINS SPOILERS FOR THE ENTIRE SERIES. IF YOU DO NOT WISH TO BE SPOILED, THIS IS YOUR ONLY WARNING. The Hope Arc is the final episode of Danganronpa 3, serving as the end of both the anime and the Hope’s Peak storyline. The question is: does it end with a bang or a whimper? 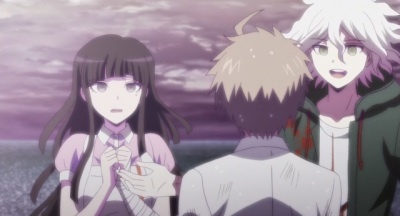 Picking up immediately after the end of the Future arc it is revealed that Hajime Hinata and Izuru Kamakura have essentially merged into one person and that he has also brought the entire Danganronpa 2 cast (minus Chiaki of course) back to their former selves, even going as far as to replace Komaeda’s Junko hand with a robot arm. In any other circumstances having all the Danganronpa 2 cast back to normal might seem like an asspull, but given that Izuru Kamakura is literally the most talented man in the world and can do just about anything, this makes sense in this universe. Also as someone who likes the second game’s cast, seeing them all back to normal was great. 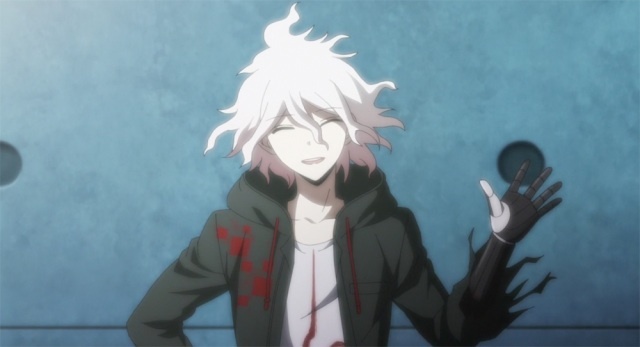 Nagito Komaeda shows off his shiny new robot arm. Then the first quarter of the episode consists of the former Remnants of Despair fighting off Future foundation soldiers and an ultimate high school level task force which really came out of nowhere. No seriously this Task Force comes out of nowhere, they fall from the sky at the start of the episode and they’ve never been mentioned in any of the previous episodes. Their existence makes even less sense when you remember that in the Despair Arc finale, only the 77th and 78th classes survived the attack on the school. 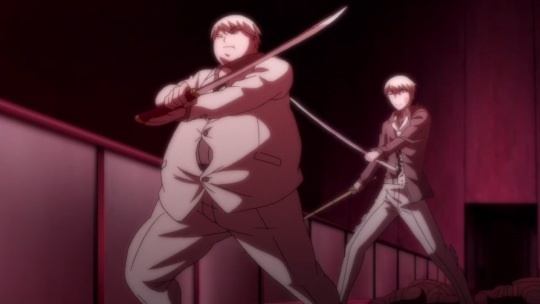 It felt like they were there just so the Danganronpa 2 characters would have something to fight. But at the very least the fighting was cool. 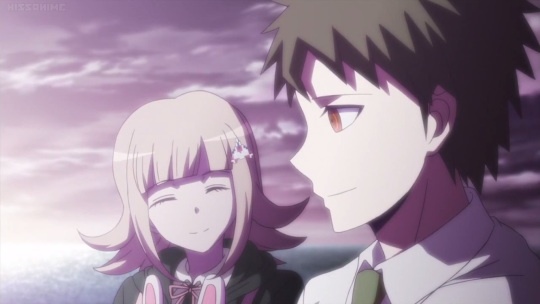 Honestly, after how the Despair arc pushed the Danganronpa 2 cast to the side for most of the show’s duration, it was pretty rewarding to see them being the ones to save the day and have their own individual moments to shine. I also liked how the final confrontation was done. 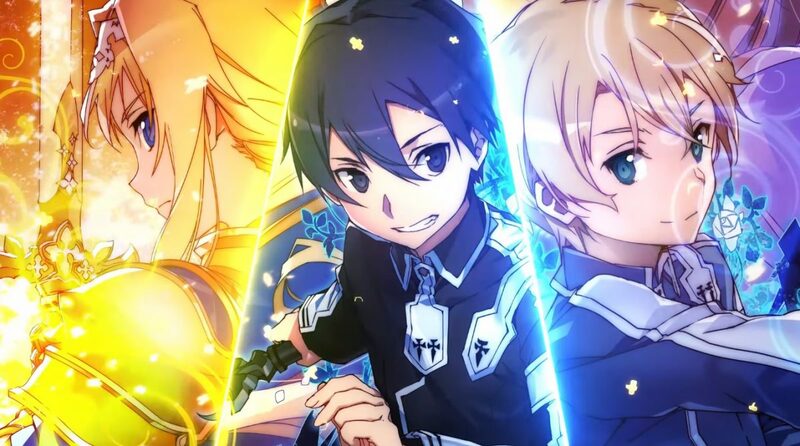 Given how the Future Arc had been more action focused in it’s conflicts I expected a big explosive battle to serve as the climax, but instead the final confrontation was a verbal one; feeling surprisingly similar to the game’s classroom trials. 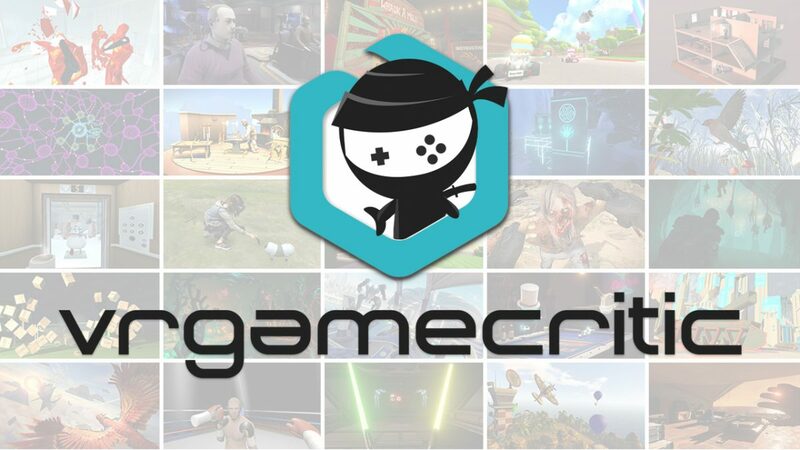 It wasn’t necessarily as dramatic or energizing as the final trials in the games, but it was still very close to how the games would have ended it. My only major complaint about it was that Naegi wasn’t really involved in it. Given that he’s been the protagonist for half of the anime I expected him to have a hand in solving the final problem, but instead he hides behind a wall and watches Hajime and his friends talk the final antagonist down. 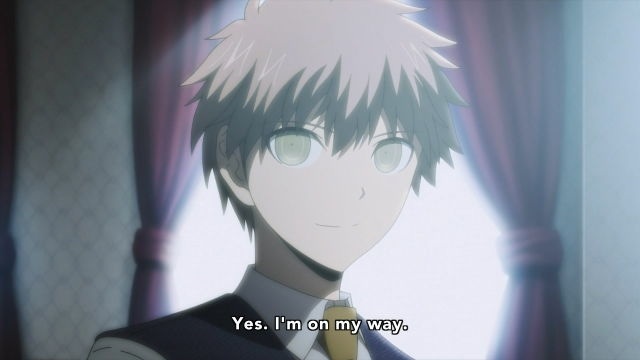 The rest of the Hope arc is basically winding down and tying up most of the remaining loose ends created by the anime while also giving viewers the Naegi-Komaeda meeting that fans have been wanting. Then we get a final ending scene that was very passable. The two Ultimate Lucky students finally meet. I do have to say: story-wise this episode was a bit weak. 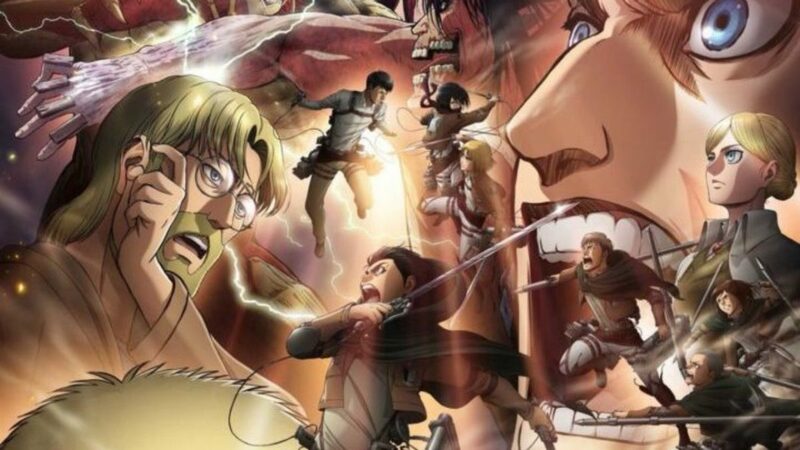 There was no big twists or anything flashy, and most of the plot is focused on resolving the conflict started in the last episode of the Future Arc. Everything after that is mostly fanservice: seeing the Danganronpa 2 cast just being themselves. Some people might be satisfied with this, but honestly as a finale this was rather weak. In fact, the ending of Future Arc episode 11 was a better conclusion in some regards. 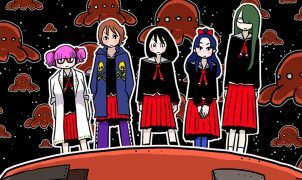 What also held this episode (and by extension Danganronpa 3) back was the lack of a central theme; Trigger Happy Havoc had the theme of hope triumphing over despair, Danganronpa 2 had creating your own future as it’s theme, and Ultra Despair Girls had friendship as its focus. Danganronpa 3 has no real theme unless you count “anime was a mistake” and without that central theme, it leaves Danganronpa 3 as the weakest and least impactful part of the Hope’s Peak storyline. Then we have the ending. Danganronpa’s endings have always been a bit open ended, and despite being the conclusion to the Hope’s Peak’s story, the ending still has that open-endedness in it. This was also a very happy ending – something the series hadn’t really had before. While most of the new characters died – all of the second game’s characters (sans Chiaki) survived despite many of them being in pretty bad shape at the end of the second game. Kyoko Kirigiri, a character who seemingly died in the Future Arc ended up surviving. It’s a pretty cliche ending but after all the suffering these characters have been through I think it was an earned happy ending. After many years of fighting despair, the characters have earned their happy ending. So did Danganronpa 3 end with a bang or a whimper? I’d say it was more of “pew” than a bang. This isn’t a bad ending for the Hope’s Peak Trilogy but it had some narrative flaws. At its core, this episode is a love letter from Danganronpa’s creators to the fans – giving them one last look at the characters they’ve known and loved. It’s a bit sad seeing the original story come to an end, but I look forward to seeing what the series has in store for us next in New Danganronpa V3. Jack Hills is a critic, writer, gamer, and total weaboo. After writing video game reviews for his high school newspaper for three years, he somehow weaseled his way into the Hey Poor Player writing staff and hasn't left since. Jack also manages the bi-weekly Youtube Garbage sack.